I wanted to thank you for an absolutely fantastic holiday. From start to finish the experience we have had with Family Ski has been exemplary. This was the first time our daughter had been skiing so our primary goal was for her to have a good time and want to do it again. Despite some pretty testing weather, she loved her ski lessons, had enormous fun making new friends and enjoying the activities the staff laid on in the afternoons (literal squeals of delight!) and is already talking about when we can go back. You guys rock! 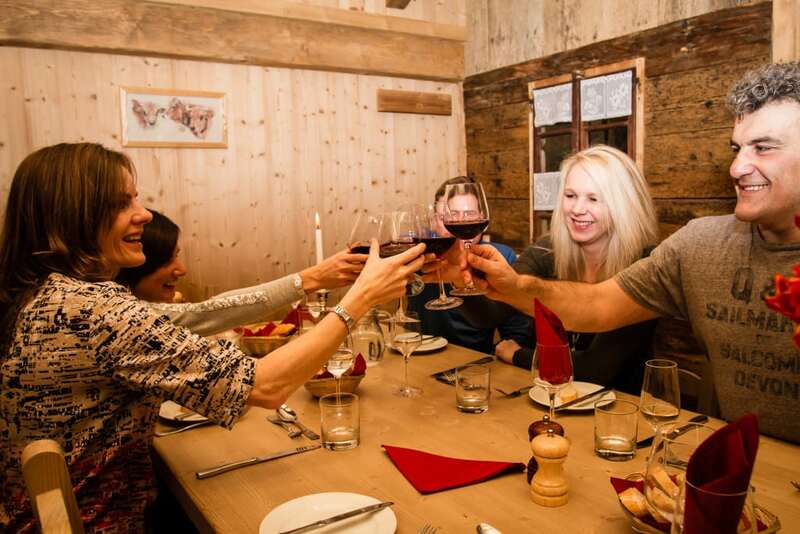 The chalet is luxurious, the choices of wine on offer were outstanding and the location ideal. I’ve been skiing for over ten years, my wife more than twenty, we have never experienced such outstanding hosting, cooking and service. I just wanted to drop you a line to say what a fantastic time we had. Is there any way I can let other people know how great it was?! It’s been two weeks since we skied and I’m still thinking about it every day! How well we were looked after, making everything sooo easy. I can’t really fault Family Ski! A big thank you from the Edward’s family; we all had such a wonderful week in lovely company at the very beautiful and convenient Les Coches. We truly had a wonderful holiday and a magical Christmas, I cannot thank the team enough and can’t wait for bookings to open for the 2018/19 season! I wanted to say a massive thank you to you and to everyone in Les Coches for a wonderful holiday last week. It was our second trip with you, so we knew what to expect. But you still managed to surprise and delight us every day. The childcare team really made the holiday and were always there keeping an eye during the ski lessons – each afternoon the kids were dropped off with us smiling and exhausted and in one piece! Most importantly for us the nursery staff in the Powder Pups were brilliant and our little 2 year old didn’t feel he was missing out at all. To the wonderful team at Pups. Thank you for looking after our precious ones for the first time. Thank you for making our holiday so special. Katie and Matt really are the most incredible cook and host such lovely people nothing was too much trouble particularly catering for special dietary requirements. The chalet was spacious, there was a good selection of wines and flexibility. The childcare was excellent in Pups and our son enjoyed all the activities. An excellent week had by all. Thank you! We got back from Reberty yesterday and just wanted to say a big thank you. The whole experience was fab. The childcare team were amazing and made skiing with kids fun and easy! Would have taken them years ago if I’d known about your company. Will definitely be re-booking next year. We got back last Saturday from the most amazing skiing holiday with Family Ski in Reberty. It really was one of the best holidays that we’ve had as a family! We had such a fantastic holiday again this year that we are already looking ahead to 2018. Our hosts Tash and Annie were absolutely excellent backed up with the rest of a great childcare and ski-school team. Thank you for a perfect week. 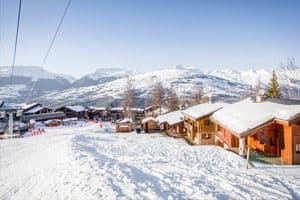 This was our fifth year in Les Coches and we are already in talks with friends about a sixth as the children adore it and love knowing the routines, the chalet staff, the runs and the ESF guys too. It adds to their confidence enormously. For young children this is the finest start they can have to a ski holiday and it is the only holiday where my husband and I get to spend the whole day together. “I had such a good time mummy” is always something you want to hear from your kids. All the kids and adults had a fantastic time and were truly looked after by the Family Ski team. First family ski holiday, which was well researched and your company didn’t disappoint. It was all the small touches that made such a big difference. And the ski school helpers were essential in ensuring a successful holiday. With a slightly reluctant daughter, Rachel was fantastic in ensuring she left the ski school area and we were all able to ski together on our final day. 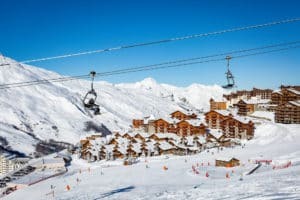 An absolutely fantastic ski holiday. 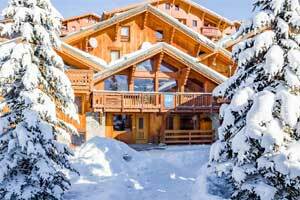 The chalet is so close to the lift, great hot tub, cosy open fire – it’s a real home from home. Our hosts were so attentive to the needs of all the guests and served excellent food loved by both children and adults. The child care team were also amazing and the kids loved going. Will be coming again. Thank you for providing us with such a fantastic week. Our 4 year old daughter started skiing this week and it was fantastic to see her out on the slopes just loving this great sport. Your company provided the support structure to allow this to happen in a fun, safe and nurturing way. So thank you very much. 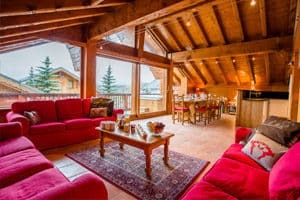 Family Ski Company have great chalets in the best locations which gurantees a great skiing holiday every time. This was our 7th holiday with Family Ski and I can honestly say that each holiday has exceeded our expectations. Our children are now 8 and 10 and can now comfortably ski with us around the ski areas which was our intention from our first ski holiday. Thank you Family Ski for facilitating this! Fantastic holiday once again with Family Ski. Making a trip to the slopes with kiddies in tow a positive pleasure rather than a chore. Fun for everyone and lunch every day as a couple was worth the trip on its own! An amazing break where all of the staff had the guests best interests at heart. They took the stress out of a family holiday and had the kids occupied with a variety of activities every minute of every day. Would definitely recommend Family Ski to friends and I will be sure of using you again. This was our first Family Ski trip with our two young children and we had such a good time in Ardent. Family Ski was well organised, professional and accommodating, the food and drink was lovely and staff were fun and approachable, the children really enjoyed the lessons and playtime afterwards. Because we were so impressed with the overall holiday we’re booking to go back to the same place next year. Family Ski provide the ultimate in relaxing ski holidays with children. Every detail has been well thought through, nothing is left to chance. Family Ski really do make it easy to go on a ski holiday with children. We had a fantastic holiday knowing our kids were having so much fun and being so well looked after. All the staff were friendly, happy and willing to help out if asked. We are very happy to recommend and will book again. A great way to do a Family skiing holiday. We were so impressed with the friendly staff, attention to detail and wonderfully attentive chalet hosts. Once again a great holiday experience with Family Ski. The best family holiday as we are all happy – happy children means happy parents, so we all win! From booking to finally arriving in Les Coches everything went smoothly. Our little boy loved going with all the children to ski school, and spending the afternoons playing his new friends. thank you Family Ski for making this ski holiday perfect for all of us. Family Ski Company added a huge amount of value to our ski holiday with children, making it virtually effortless. Both the on-resort and UK office teams made us all feel very well looked-after. The children loved their experience and we even enjoyed some civilised adult time, both on and off the slopes. Perfect family friendly ski holiday. 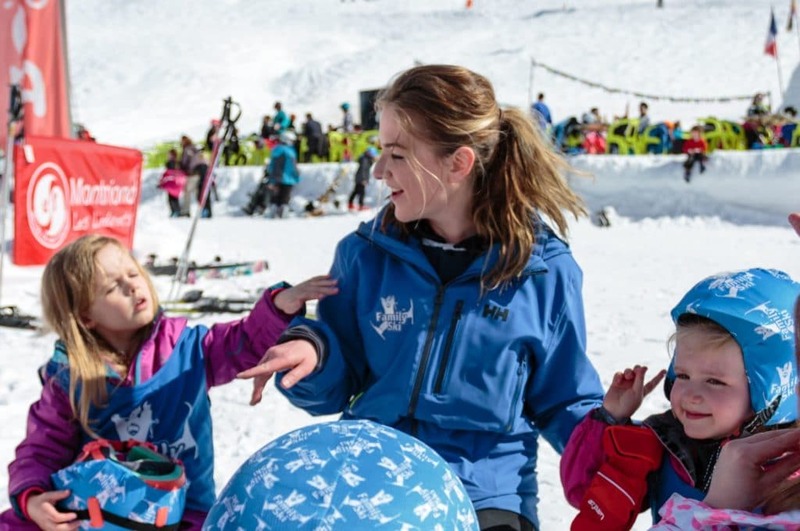 There are many reasons we have been with Family Ski for 5 weeks skiing in the past 4 years – excellent childcare, invaluable ski school helper, great chalet locations, helpful and friendly staff. See you next year..
On arrival at Chalet Falaises we were immediately made to feel comfortable and relaxed. The Family Ski team were wonderful. We loved the resort, the skiing and the children had a fantastic week. Thank you. Family Ski went out of their way to ensure we had a great holiday. They exceeded our expectations in almost everything. We would definitely travel with them again. 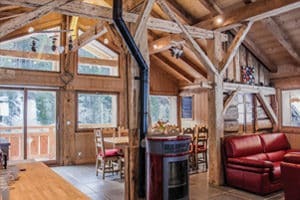 The best located and equipped chalet we have ever stayed in. The staff were fantastic and created a really family friendly environment which made for a fantastic holiday. Hope to see you again next year! We have been skiing with Family Ski for 6 seasons now. Every visit has been amazing and thanks to the excellent provision, our children are all fantastic skiers enabling us to move on to our ultimate goal where we are able to ski all day every day as a family. Thank you! This was our 5th holiday with Family Ski and could not have been better. We all had a fantastic week and the children had a blast with all the other children in the chalet. 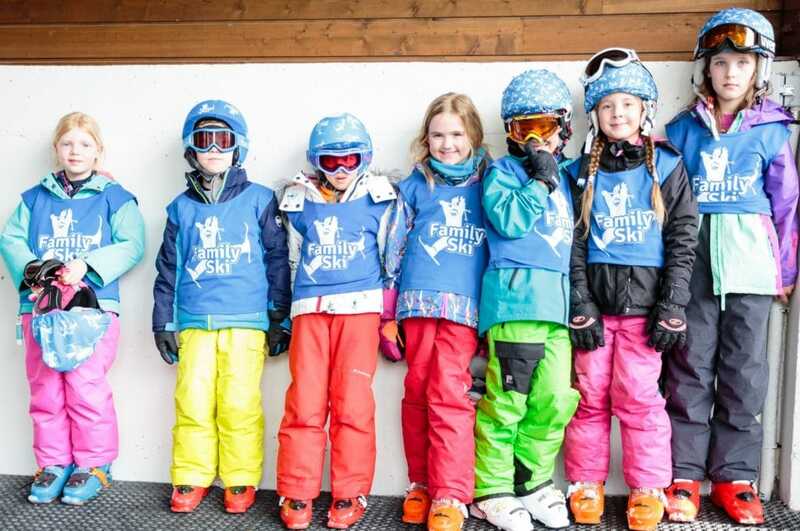 They particularly enjoyed the Fun Skiing afternoons – they were so well looked after and had great fun in the snow park, ‘off piste’ and doing jumps. We had some great skiing too and really enjoyed coming back at the end of a hard day to a lovely cake and tea, followed by dinner. The team both in the chalet and childcare/skiing were great and could not have been more helpful. Another superb holiday. It was such a great holiday the first thing we did when we got home was book again for next year! THANK YOU EVERYONE AT FAMILY SKI! 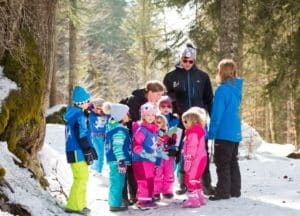 Family Ski have a unique formula – great ski locations with wonderful chalets, superb hosts and excellent food; high quality,attentive childcare so you know your children are well looked after whilst you are on the slopes with ski lessons and additional ski afternoons organised for older children. We returned to Ardent this year and it was as good as ever in all respects! We had a amazing first skiing holiday (as a family of 2 Kids 5yrs and 7yrs) The team in Les Coches were amazing and the Childcare is brilliant. I wouldn’t hesitate in recommending them to our friends or anyone else. Nothing is too much trouble, and all the team were so friendly. 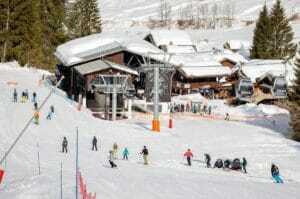 The location of the Chalet is perfect right; right next to an easy slope. The fact you can have your children taken and returned from Ski school completely safely and competently makes the holiday very easy. Family ski is the perfect way for a family to enjoy a weeks skiing together with everyone catered for as a family and as individuals. Our kids loved it which means we did too. 3rd visit to Ardent with Family Ski and won’t be our last – fantastic skiing, staff, resort, chalets and food. Our boisterous boys look forward to it as much as we do – a great break for the whole family! Thank you again. Great set up for families with young children, fantastic location in Reberty, works for all the family. Thanks to all the team at Family Ski Ardent for a fantastic ski holiday in Chalet Les Grolets Ardent . Our host and cook Laura and Charlotte made our stay hassle free and very enjoyable . A very special thanks to the ski helpers who made our daughters first slides on skis a massive success! Great all round family holiday, full time childcare allowing a full day on the slopes/apres ski. Superb ! Met great people in our chalet and all family ski staff were a credit to their company. We had an excellent tine. Our 3 kids were very well looked after and loved the experience. We were well fed and watered, maybe too well! 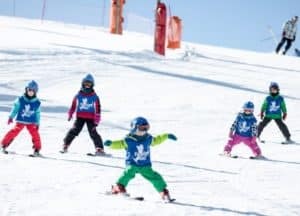 Despite meeting up with the kids on occasion during the day, they showed no interest in wanting to join us as they were having such a good time in the care of the staff and ski instructors. I’d recommend Family Ski for a relatively stress free skiing holiday. Holiday was perfect from start to finish and was all that we could wish for as a family holiday. Everything from the food to the chalet to the hot tub felt like a luxurious treat. Skiing and ski school great and resort and chalet team couldn’t have been more helpful and friendly. Kids, who can be anxious, loved the kids clubs and the staff and are desperate to return. We had a great week in Chalet Anna in Reberty. The Family Ski set up left my wife and I and our two kids (age 7 and 8) to enjoy our holiday to the full. The kids particularly enjoyed the adventurers club and the ski adventure afternoons. This is the third year that we have used The Family Ski Company – and each year keeps getting better! We wouldn’t hesitate to recommend them to anyone else thinking about taking a family skiing trip. For a hassle free family skiing holiday, I would pick Family Ski every time! 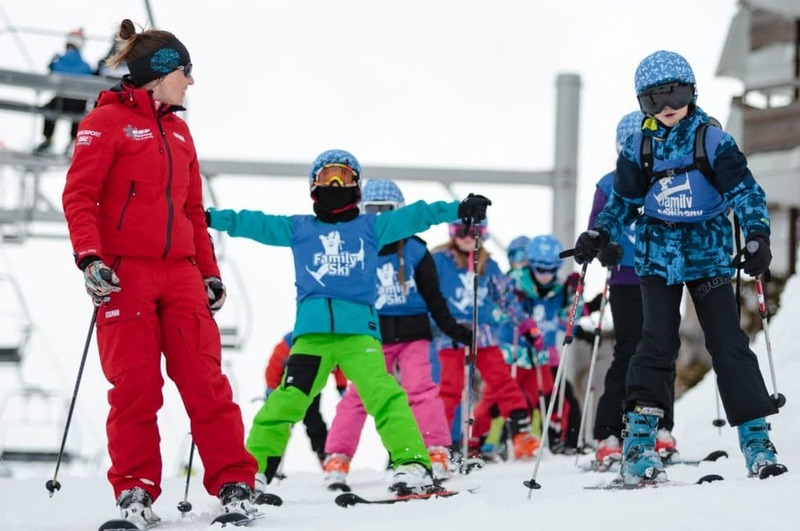 The Ski School Helper is a great idea not offered by many other companies but it really made a big difference. My five year old was up every morning really looking forward to getting out skiing, that was what I was hoping for. Little touches such as the Ski School Helper really made the holiday a lot easier and more successful for us. Superb Quality. Fantastic Value. See our price list for this season. Discover our perfectly located chalets, to suit every budget. 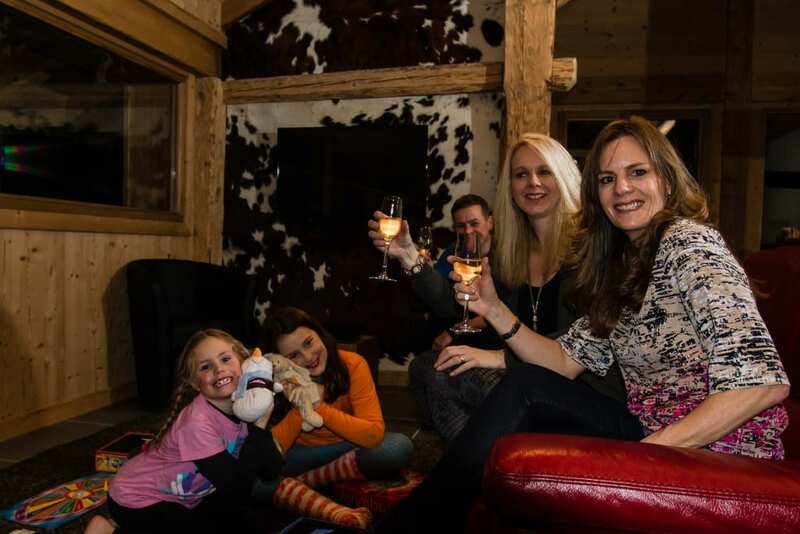 All our Chalets are in ideal locations for families looking to enjoy their perfect ski holiday with all the facilities and services to sweeten the experience.